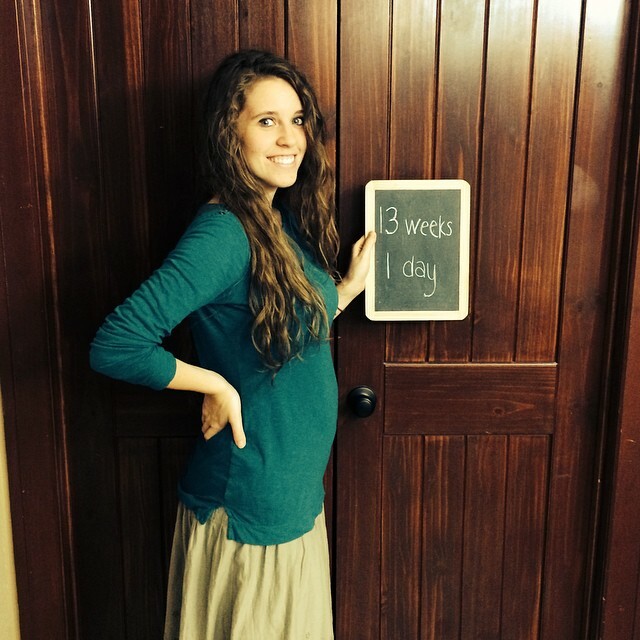 Duggar Family Blog: Duggar Updates | Duggar Pictures | Jim Bob and Michelle | Counting On | 19 Kids: Is Jill Pregnant? Since Israel Dillard's birth, via emergency C-section, in April 2015, fans have been eagerly awaiting another pregnancy announcement from Jill and Derick Dillard. Soon after her son's arrival, Jill told PEOPLE Magazine that her doctor expected her to be able to deliver her next child vaginally. Are there any Dillard babies on the way? Jill and Derick recently shared that they are not expecting...yet. Since moving down to Central America last year, the couple has expressed an even greater interest in adoption. Rest assured that when an announcement is made, we will share it with you immediately. Why are you even speculating on this??! And with Zika in that area. I find this blog post unnecessary and in poor taste. Life is not about how many times and how fast a woman can reproduce or increase her family size. Have you run out of other Duggar family news entirely? How about contacting them and giving us an update on the filming, instead of trying to mislead us with a false headline about Jill's possible condition? The reason for this post is to clarify that Jill is NOT pregnant. The rumor mill has been in full force spreading a false rumor that she is pregnant. So yes, the post was very necessary. There is no need to be so hateful about it. They are just being completely bombarded with that question, and I'm pretty sure they are tired of it. Thank you for not giving up in the face of adversity. Truly inspiring. God bless. I've been watching all of ur brother and sisters grow up I never missed a show I think ur all amazing and beautiful. Can't wait to see another child!GOD BLESS YOU ALL! I don't understand why people are waiting for another pregnancy announcement from a couple living where a terrible disease is spreading. Why can't ya'll pray that their next announcement is that they are all safe and happy? I don't get the constant baby watch...they already have a young toddler so why the push for another baby? Are you going to be the one responsible for the new one? Don't get it. Got me all excited for no baby! Hahahhahaha, good trick Duggars! Hopefully, Jill is NOT pregnant. The Zika virus is in Central America, and that's very frightening. I hope they adopt instead. And many of those cases are from women that have traveled to Central Anerica and then came back. As of July 1, Friday, there have been 3 babies born in the USA with microcephaly due to moms positive with the zika virus. 1 born in Florida, 1 in New Jersey and I can't remember where the third one was born. In Florida alone there are more than 100 cases of positive zika, so far all cases are from traveling. Summer is here and it will get worse. So many cases in Florida because it is summer in Florida year round. All of those babies were born to mothers that came from outside the US. Same for those that are being monitored with exception to a couple that were acquired via sexual transmission of partners that were infected outside the country. They have yet to confirm a mosquito acquired case here. Btw, it was widely published the Florida mom had came to the US from Haiti specifically to deliver the child since she was aware there was an issue with the virus. Then why tease about this?? That seems kind of silly to tease about a new pregnancy just to say that there isn't, in fact, a new pregnancy. They made this post because the rumor mill is in full force spreading false rumors about her being pregnant and they are being completely bombarded with it. So this post was to clarify that she is NOT pregnant, I'm sure they are very tired having to answer that over and over and over. Wonder why people just don't get it..it was explained very well on why they posted it.. people read the article before you comment, geezzz. I am confused. Why would they post this? Is it because of the attention Hunger is getting and a lot of people, in their excitement for Jinger, forgot or simply didn't respond to the Dillard's 2nd anniversary? This is quite sad. Let Jinger have her moment, Jill! It wasn't Jill bringing this up. Are you aware that this blog isn't written by the Duggars? It's not Jill who wrote it (let alone is she "taking her sister's moment"), it's Ellie, the blogger friends with the Duggars who owns this blog. Also, having babies isn't about "having a moment", or being at the center of attention. If by chance Jill wanted a baby should she stop because her sister is in a courtship? I'm happy for them to share this time and experiences in central America. To share this time with little Israel. The time will come when another child will be conceived despite plans to adopt. I just hope they can cherish the time they have and focus on each other and the commitment made in their mission work. in wich country are they living? Why do they want to keep it a secret? I don't think crazed fans are going to follow them. Why tease about this? For the Duggars, Jill has gone a very long time without becoming pregnant which is surprising in light of her immediate pregnancy after marriage. This really wasn't a tease, it was more to clarify that Hill is NOT pregnant. The rumor mill is in full force spreading false rumors that she is. So, I'm sure they are tired of being bombarded with that question over and over. What is so wrong with the words, "vaginal birth"? How do you think most babies are born? By having that photo of Jill pregnant with Israel, you are making people believe that she is pregnant with her second child. Only if you stop at the picture and don't read the article that is right underneath. Why would you do that? what is the big hurry? after the pictures I seen of Jill and Derrick and how often the family runs down their I hope they do not have another kid right away. Jill looks depressed and Derrick looks like he is totally out of it? Hope they are well seems like they need to come home. I do not understand this obsession with the reproductive capabilities of other people. Speculation about pregnancy or adoption intentions is a very fruitless endeavor. I realize the Duggars have become celebrities because of their fertility and it has become an expectation that another must be "on the way." However, it is sad to see that so many folks apparently tie so much of a woman's value to her ability to procreate. Well this fan never "eagerly awaits" news of another pregnancy from anybody. That's their business. In fact, I'd prefer they space their children apart and not be in any rush to fill that quiver. agreed. It's a bit odd that we are watching SO closely for another pregnancy, really, just bizarre. Would you do that with any normal people you know? Jill is Jill Duggar Dillard. Jill Dillard is Jill Duggar. Dillard is her husband's last name. Adoption should NOT be a contest, like ti seems it has become for the Duggars. Maybe this blog and the Duggars need to explore the reasons children need to be adopted. IF they are attempting to adopt a infant, their wait should be years. How about older children, abused children, etc. Not that the family has professioinal training in this area. This competition on how many babies, adopted or birth, needs to stop. Each child need personalized love and attention. Each child deserves to be raised by parents not other siblings. Please stop the baby competiton. For every infant placed for adoption in the states, there are dozen of families waiting for them, many first time parents. What makes you think that there is any "competition" going on within the Duggar family as far as children being born? The Duggar's have stated that they leave it up to God to determine how many children they will have so there is no "competition" within their belief system when it comes to conceiving a child. I think you're interpreting things wrong. I don't recall any of the Duggars ever saying or insinuating that this was in any way a competition. They love kids. "Children are a blessing from the Lord." Good for you for pursuing adoption. Lot of unwanted babies need loving homes. Not really, 1:48. Only 1% of babies born in the US were put up for adoption in the last 20 years. Now if you start factoring in China, Korea, Guatemala, Russia, and Ethiopia (the top 5 foreign countries for US adoption), those numbers do go up. But there are fewer "babies" available than you think. Most US adoptions these days are done through the foster program, BTW. There are many older children languishing in foster care who need loving homes, but prospective adoptive parents wait a long time for an infant. yes, they need loving homes, they need education and responsible parents with a job who can support them. What unwanted babies don't need are parents who want to be tv-stars whatever it costs. Jill shouldn't have another baby yet not with Zika virus. To be honest, I find this type of speculation on the blog inappropriate and not worth reading. Until Jill herself makes any further announcements it shouldn't be our business nor should we be invited to speculate. I do enjoy reading blog entries about actual events. Thank you. bold ink to then read no pregnancy in 2nd paragraph. What a bizarre & unecessary posting. I thought the Dillards mentioned that their next child would probably be their own and not adopted. I kind of feel like this adoption story line has been promoted and even generated by TLC. It has been confusing to follow and possibly promoted as "Counting On" has been not very interesti, in my opinion. In so many ways a pregnancy for Jill in Central America would be so dangerous. The zika virus, no prenatal care and Jill's risky home birth scenario with a very large, overdue baby are all reasons why no one wants to watch a story about Jill expecting a baby down in Central America. This certainly is an attention-grabbing article. Why try to get the attention of the internet? Elie and Lily, I so appreciate the blog you created for the Duggars that you have tended to so responsibly. It is a wonderful gift to the Duggars and their followers. You have handled difficult situations very well. I thank you for all your work. But this post was horrible by the standards you set for yourselves and your readers. It was a silly effort to be funny. Surely there is something more as a post than, "Is Jill Pregnant?" "Surprise - Nope!" Waste of your time and ours. Please keep up the GOOD work. Leave the fluff to the tabloids. Thank you. I think you are right Julie. I hadn't looked at it that way. I take back my post. It just looked so much like the covers of the tabloids that you see in lines in the grocery store. I truly don't buy them but they use that type of headline to catch your eye. Now I see that the bloggers meant it as a clarification. Sorry. I misunderstood. I like your posts, Natalia. I've noticed them before. You are always so positive. Stay that way!!! It's more harmful to go through life pretending that everything is wonderful, you know. There are negative things in life, and you have to deal with them, not dismiss them. Thank you and likewise! I need that gentle reminder sometimes when I feel myself getting all cynical. For all of you saying that the headline is misleading, the headline asks the question "Is Jill Pregnant?" Since it does not say Jill IS pregnant and the answer to the question could easily be no, why are you so upset? Nothing is misleading. Anywho...May God continue to bless the Dillards and their efforts in the ministry. No 1 yr. old has any idea what a little brother or sister is. I bet he would, too! Thanks for keeping us updated Ellie! I think that the problem of this post are the title and the picture: they imply that Jill is pregnant and encourage the speculation. They suggest there are news, when in fact there's none. If the post was titled "Dillards dismiss pregnancy rumours", or "Dillards clarify they're not expecting", with a family photo of Jill, Derrick and Israel, it would have been honest and credible. putting a photo where Jill is pregnant and a misleading title is very tabloid-like. I love the Duggars and would never say anything bad. I just naturally do wonder why Jill would not be pregnant yet as I assume their religion completely bans birth control. If this is true, and they are supposedly honest people, we would assume she'd be pregnant by now!! Zika virus or not, either you do or you don't use birth control. At least be honest about it. The same goes for Jessa...I don't like that they lie about it being "up to God" if they are using birth control. It's their business what they choose to do but honesty would be nice. Still love them anyway! Are they using contraceptives then or following a Natural Family Planning program? They just seem like such a fertile family that it is surprising that they haven't conceived even if it was unintentional. The fact that Michelle and Jim Bob are very fertile together doesn't mean it will be the same for their kids and their spouses. And the fact that Jill got pregnant very quickly the fist time doesn't it will always be that easy. The concern here is for Derick's health, I think. He looks like he is terminally ill-- not kidding. Time to come home. No, I'm not a family member, but I have spent time with nursing home patients - and they look more healthy than he does at this point. Honestly! Yes, I have too. Something is very wrong. He's always been skinny, that's just how he's built. He's just tired and probably not getting the best food ever, but he doesn't look sick to me. I am just so worried about her with the zika virus, I know lots of people have said it in the comments but pray she doesn't get it while pregnant if she gets pregnant there!